The following represents a litany of questions drawn from a diversity of people who genuinely seek to understand role and relevance of the institution of the King in their lives. I made an attempt to answer some of those questions but my responses are neither exhaustive nor representative of the royal house position as I'm not the royal spokesman. I do so from a personal passion and expectation of what I wish the monarch could do. 1. Why resuscitate the Monarch, it's such an old and irrelevant institution? This is 2018 not 1818.
a. They lost their land, which they have not yet recovered. 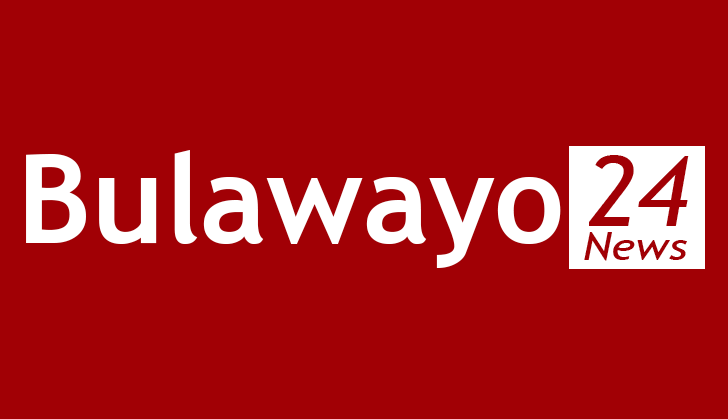 Remember that Ndebele people were evicted from within 150km of Bulawayo to be resettled in the semi arid Gwayi Reserve (Tsholotsho District) and Shangani Reserves (Nkayi and Lupane Districts all of which are known for their hostile climatic, drainage and soil conditions. As we speak right now villagers in Siphepha Communal lands in Tsholotsho are drowning in floods because that place was never meant for human settlement. Other Matabele people remain scattered all over Zimbabwe some as far flung as Buhera and Musengezi. The new King will need to lead the rectification of this history of dislocation. It is disconcerting to watch outsiders being brought to be resettled in farms around Bulawayo when the pre-colonial owners of that land remain excluded. b. They lost their cattle, which they have not yet recovered. Thomas Meikles and his brother, presided over the Looting Committee which was set up to collect 800 000 cattle belonging to the Ndebele and distribute them among themselves and their African batsmen. Some were driven to South Africa. The government of Zimbabwe cannot champion that agenda. The King will lead the rectification of this history of dispossession in which the government of the United Kingdom has a case to answer. c. They lost their monarch, which they have not yet recovered. In this regard, the Ndebele people are the only people who lost their institution of the King due to colonisation. Nobody else did but that is not to say they cannot revive theirs if they so wish. d. They lost their independence. Arguably this is the only thing which was achieved after the demise of colonialism but many still feel that Mthwakazi never regained her independence since 1893, her colonial status was simply inherited by Zimbabwe. Being an old institution does not make it irrelevant. Royal families are symbols of national unity and sources of pride. Many European countries today including the English still have genuine affection for their monarchs. These include the Netherlands, Spain, Denmark, Belgium, Luxembourg, Norway, and Monaco among others. Monarchs also exist in many African countries including South Africa, Swaziland, Lesotho, Zambia, Uganda, Nigeria, Morocco etc. 2. King Lobhengula was disgraced in defeat by the colonial forces, after signing away his country? Show me one African ruler who was not disgraced through violent colonisation and I will show you a collaborator. You either resisted or collaborated. However, even those who collaborated later discovered that they had chosen a wrong path as they were better off under Ndebele rule than white colonialism. The ex collaborators joined the Ndebele in the Uprising of 1896-7 against their colonizers whom they had previously aided to colonise them. Practically speaking, all African rulers were disgraced when they lost their power and autonomy to European settlers who then subjugated them under their rule. Even Chief Khama of Betshwanaland Protectorate (Botswana) and the Litunga of Barotseland (Western Zambia) who avaoided a military confrontation but cjoe to voluntarily place themselves under British protection were not saved from various forms of ill-treatment and racial segregation by their supremacist colonisers. King Lobhengula preferred an Anglo-Ndebele Pact of mutual respect and equality like the one he had signed with Paul Kruger of the Transvaal Republic, not subjugation. The Anglo-Ndebele Pact was expected to be buttressed with a marriage union between the British Queen and His Majesty, King Lobhengula like King Mzilikazi had done with the Swazi Queen Nyamazana on finding her already in charge of affairs in Zimbabwe. The African inferiority complex currently prevalent against Europeans is a new phenomenon traceable to the colonial period. King Lobhengula used to make Europeans crawl on their bellies before him after making them wait months to see him. He never recognized white people's racial superiority. His forces sent the British Army helter skelter until they were saved by the Maxim gun. King Lobhengula forces put up the stiffest fight the British had ever witnessed in their colonial exploration. Only the spear-wielding Matabele and Zulu forces humiliated the British Imperial Army when they defeated them at Tshangane (ePupu) and Isandlwana respectively. With or without the Rudd Concession, Rhodesia was going to be colonised. This is the reason why the rest of the other countries where King Lobhengula had no jurisdiction still got colonised. Some had to execute vicious armed struggles to win their freedom back after nearly a century of colonial occupation. 3. Why have you not done this before, why after 125 years, have you been afraid? It is not true that the Kingdom is being revived for the first time now after 125 years of silence. Many attempts were made immediately after 1893 and around the time of Umvukela but were frustrated by colonial settlers. More such attempts continued to be made since then but have always been consistently thwarted by the successive regimes in Rhodesia with one such effort being made by Prince Nguboyenja in 1918 when he took on the British Imperial government leading to the matter being unjustly adjudicated by the British Privy Council in favour of the British Crown. Prince Nyamande also made several attempts to revive the monarch with the support of izinduna but was equally frustrated by the colonial administrators in Rhodesia. Fear was not the factor although there was a lot of persecution directed at those who were closely associated with the Ndebele royal family. As part of the strategy to deny the Ndebele people of any rallying point, Cecil John Rhodes and his cronies exiled most of the King's boy children in South or England. These princes included Njube, Mphezeni and Nguboyenja. Njube is was banished to the Cape colony and is the direct anacestor to Prince Bulelani Lobhengula Khumalo who has been identified as the successor to the throne. In the 1950s, the advent of African nationalism caused a slump in the demand for the revival of the monarch because the nationalists said it could wait until independence was won by Africans. When constitutional talks for independence came in 1979, the nationalists ducked the issue even when both Ian Smith and the British Government raised it. Ndebele people were actually let down by leaders of the Patriotic Front co-led by Joshua Nkomo and Robert Mugabe who selfishly marginalised the issue. 4. What is the purpose of the King? What will he do for Mthwakazi or Zimbabwe? a. Reverse the cultural and linguistic erosion suffered by the multi-tribal Mthwakazi nation. b. Lead our people on a crusade to conserveour culture and language against all forms of threats. c. Revive some of our ancient but relevant cultural heritage and ceremonies such as inxwala, umhlanga, umthontiso and ukusoka. e. Spearhead development in the region through proper land administration, ukusisa system and isiphala seNkosi. f. Make final adjudication on all referral cases from the chiefs. 5. Did you ask permission from the Zimbabwe government to resuscitate this Monarch? Zimbabwe is presumably a free country founded on constitutional democracy. Free people do not beg their governments for permission to practise their culture; they inform or notify it if that is deemed necessary. 6. The Constitution of Zimbabwe does not recognize a King how will you install a king? (1) Traditional leadership under customary law is recognised. (2) A traditional leader is responsible for performing the cultural, customary and traditional functions of a chief, headperson or village head, as the case may be, for his or her community. "...as the case may be..." actually accommodates the King although at the time of crafting the constitution the drafters may not have specifically mentioned the designation of the king. 7. They appointed a foreigner as Ndebele King, are there no qualified Zimbabweans from the Khumalo lineage? No Ndebele seed, let alone a cub of the Matabele Lion is a foreigner in Mthwakazi no matter how long they stayed in forced exile. This is like saying all children born in exile during the liberation struggle have no claim over Zimbabwe. The objective of exiling all the eligible princes to South Africa was to defeat the resolve of the Ndebele to revive their monarch. By overlooking the foreign-based Ndebele princes the elders will be double-punishing the royal descendants for an injustice first done to them by Cecil John Rhodes. By appointing Bulelani the elders have reversed Cecil Rhodes's 125 year long temporary victory. 8. Many claimants have come through over the years, Mcijwana Khumalo, Mzilikazi II (Stanley Tshuma), and now Peter Zwide Khumalo. What is the position now, how would we know who the right one is? It is actually very normal that such claimants have suddenly emerged in their desire to occupy the vacant throne. All these claimants are chancers as they are either not descended from the last Ndebele king in the case of Mcijwana Khumalo and Stanley Tshuma or do not qualify based on the Ndebele royal succession technicality regarding the time of their Lobhengula-sired ancestor's birth. Mcijwana claims to be descended from Prince Nkulumane while Stanley Tshuma claims to be descended from Prince Hlangabeza. Both were Lobhengula's brothers and their claims were invalidated by Lobhengula's eventual ascendancy to the Ndebele throne and his being the last king. Peter Zwide Khumalo who claims ancestry to King Lobhengula's first born, Prince Nyamande, is disqualified on the basis that his immediate ancestor from Lobhengula's loins was born before his father became king. Records about the coronation of King Lobhengula in 1870 reveal that Prince Nyamande and his siblings from the two Mkhwanazi women who were Lobhengula's first wives witnessed the coronation. Of course we have recently seen an attempt to rewrite that history and present Prince Nyamande as having been born in 1873, which is not correct because in 1870 Lobhengula had been married for at least eight years. 9. How are you going to support the King, where will the King live, what will he do all day? The financial costs of the monarch are fairly modest. The British royal family, for example, costs the average taxpayer less than $1 per year and probably brings in far more than that in tourism dollars. The British royal family brings tourists to England in droves. I expect that whatever budget for the sustenance of the institution of the King will be defrayed by the tourist revenues he is expected to rack in. The King will live in his palaces which we expect to be constructed in the four provinces where the king's jurisdiction extends; that is Bulawayo, Matabeleland North and South as well as the Midlands province. We expect the Royal office to be extremely busy in matters of administering the land within his territorial jurisdiction in collaboration with the chiefs, presiding over referral cases from chiefs, presiding over traditional ceremonies, spearheading development and chairing the royal council meetings attended by chiefs as well as meeting the people around his country to instil a strong sense of identity and patriotism. 10. The King is Nguni but most of the people in Matabeleland are not Nguni, why can't Tshuma or Moyo being appointed kings? To be technical with you every Ndebele person, by virtue of being Ndebele, regardless of their ethnic origins and surnames are anthropologically, culturally and linguistically classified as Nguni. Do you think if you killed all the so called Nguni (since this is the wish of some people in this region) you will suddenly have another language group in Matabeleand emerging as the majority? Never! The Nguni speaking people will still continue being the most numerically dominant in the region. Remember before the arrival of the King Mzilikazi in this country, there was no one who called themselves Ncube, Dube, Ndlovu, Sibanda, Ngwenya, Nkomo, Ngulube, Nyoni, Nyathi, Manyathela, Msipha, Nkiwane, Mthunzi, Mpala, Mlalazi, Mangena, etc. These surnames and people who use them are as much Nguni as the Khumalo as they speak and practice the same ultire6as them. History fused them together into one entity like all the true nations of the world. A nation is not a tribe but a collection of diverse peoples who share a common history and aspirations. They even habe to speak one language. Khumalo is not the king of Ndebeles because he is Nguni; he is the king because he founded the Ndebele identity and nation. You can't change the founders of a nation unless you're a thief of history. Any other person who wishes to lead Ndebeles must form a political party, campaign to be endorsed as a leader and contest elections. Of course there are miscreants who have been on the rampage to criminalise Nguniness in Zimbabwe for genocidal purposes. They are driven by their jealousy to see the wonder of Ndebeleness as a product of a successful nation building exercise by Kings Mzilikazi and Lobhengula. Prince Bulelani Lobhengula will therefore be king of all Ndebele people and other identities which for historical and mutually beneficial reasons wish to be identified with the Ndebele . 11. The Rozwi of the Mambo Trust also want to resuscitate their King, what do you say to that? The Mthwakazi King will be happy to relate cordially with any of the kingdoms in Southern Africa whether they are the Mambos based on the Chief Mugabe lineage in Masvingo, or mambos drawned from Chief Chiundura in Gweru. There are many countries like Nigeria and South Africa where kings coexist not just in one country but within the same province such as in Limpopo where Vendas, Pedis and Shanganis live together as neighbours. Their boundaries are clearly defined by the distinct languages they speak and the culture they practise. I presume the Rozvi language and culture will also define their kingdom's boundaries. However, whoever wants to revive their ancient kingdoms must not do so being prompted by reasons of jealousy of the Ndebele and spitefulness of their identity. There are some people who think that by threatening to revive their defunct monarchs from lineages which have become extinct they will discourage the Ndebele from their quest for cultural renaissance.